This highly durable cart bag has crush-resistant construction with a 3x longer lasting material for long lasting use. Plus has a tough 14-way top divider system and a putter well to fully organise your clubs. 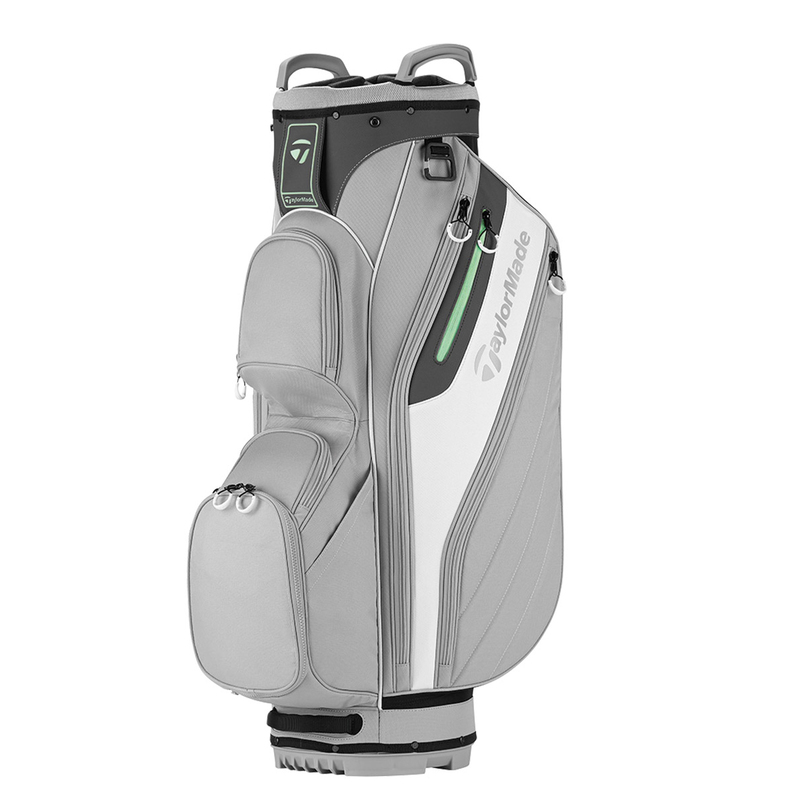 The bag features 5 front pockets to make it easier to access, these include a tee pocket, and a zip off ball pocket for custom logo emboidery. 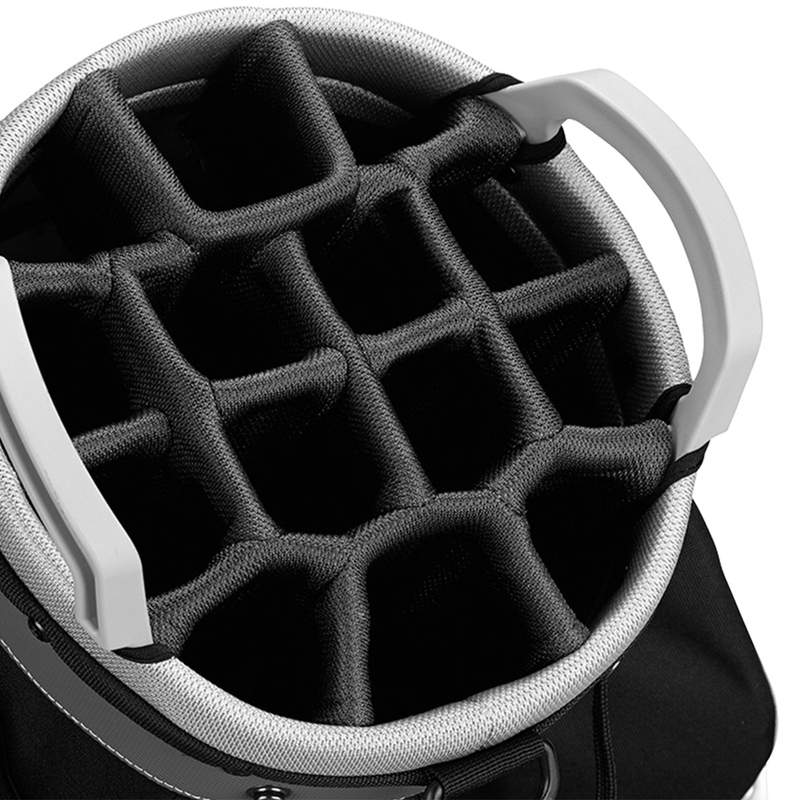 For ease of use the bag has integrated lift assist handles, has a cart friendly engineered shape, and has a cart strap pass through channel to secure your bag to your mode of transportation. Other features include a towel loop, rain hood, and comes with a single padded shoulder strap.